We were invited on a self sufficient camping trip to the stunning Carnarvon Gorge, QLD. We have never been self sufficient campers, like ever! And we have never been camping in winter. Spring/summer camping on sunny North Queensland coast was as good as we got…sun, beach and minimal to pack. So you can only imagine our excitement as our minds raced with what we needed to pack for out little road trip down south. The first thing I did was call my Dad for advice on what we actually needed for winter camping because we had absolutely no idea. And, I do not enjoy our very few winter nights that we have in Mackay, so I needed to know everything that we needed to be comfortable! Reminding us of his spare camper trailer he has kept for all of us kids to use was the first thing he recommended then jeans, warm blankets and gloves was all the advice he had left for us… and to keep the fire stoked. He also mentioned that it has been ridiculously COLD in the area so to layer up on clothes. And by ridiculously cold the weather conveniently dropped to minus 1 on our first night. He didn’t have to tell us twice. We were packed up to the roof..we had our torches, camp stove and accessories, shower, generator and all things winter self sustained camping, well at least we hope we have everything. I even remembered to pack the hot chocolate (which was a huge hit for Lulu and I). And we were off! Straight after work on a Tuesday afternoon. Typically you would take the quickest route which from here is the inland highway. But we needed to pick up the camper trailer in Rockhampton, QLD, which meant taking the long way but that’s okay because this means we get to visit friends and family. Which is always such a treat. And we were off again!! Carnarvon Gorge bound!! 400 km south west of Rockhampton! The excitement was too much for our 4 year old who was alive with conversation most of the trip. So many questions about where we were going, where we were sleeping and “if we were there yet”. We kept him busy with drawing, eye spy games, music and other games. This is the part where older siblings can be an amazing help and some times not so much but this is where I remind you to don’t forget your snacks. Snacks are your best friend and do wonders with keeping them quite temporarily; especially when the hangry arguments start. ADMIT IT..we all can get a little hangry. In saying that we have been very blessed with kids who enjoy our little road trips and have grown to be quite versatile little travellers. Fast Forward…We arrive at our campsite and our minds are blown!! We can’t wait to share with you our amazing experience more about our trip and I want it to be a great read so thanks for reading and keep your eyes peeled for the next part!! We have some rookie error stories to share which now when we look back is actually quite helarious but at the time – weren’t so funny! COMING SOON…Part 2 – Arriving at Sandstone Park. 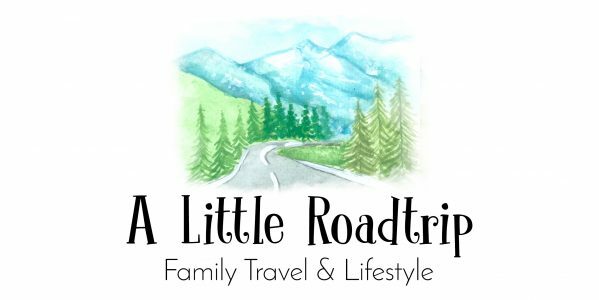 Previous Post Roadtrip – Keeping them busy! Next Post That one time we met Obama!